How to Install Lifeline Netting | Do-It-Yourself Advice Blog. Lifeline netting can be a great way to keep children, pets, headsails and crew members on board a sailboat and often adds extra peace of mind for the boat owner. 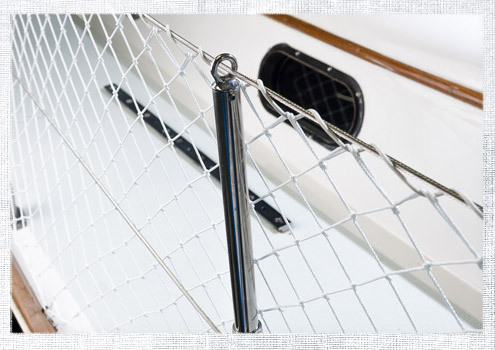 This diamond patterned netting can run on your lifelines around the cockpit, around the bow, or even around the entire perimeter of your boat. 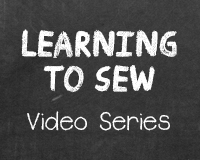 Today we’re going to show you how to install lifeline netting. To add lifeline netting to your boat, you first need to determine how much netting you will need. Measure around the perimeter of your boat where you’d like the netting to be. If your lifeline has a gate, like ours does in the video, measure two sections; forward and aft from gate to gate. To determine the amount of netting required, multiply your measurement by 1.35. We used a method of installing the lifeline netting by lashing the netting to the lifelines using leechline along the top and bottom of the netting. To determine the amount of leechline needed, take the perimeter measurement of the area where the line will be installed and multiply it by 2. Then, multiply the product by 1.6. This is the amount of leechline that will be required for this project. Installing lifeline netting is a simple process, but it does take some time to securely install. You want to be sure everything is secure, so the netting can serve its function. In the video you will learn how to weave the leechline through the netting, how to secure it to stanchions, how to secure the netting between stanchions and how to create a gate opening. If you need to cut a hole in your netting for your headsail or other obstacles, we’ll also show you how to secure the opening in your netting. You can find all the materials and tools needed to install lifelines and lifeline netting at www.sailrite.com. Do you have lifeline netting on your boat? Did you use this method or a different one for installation? Share your experiences, thoughts and opinions with us in the comments! Instead of pulling 65 feet of leech line thru every diamond, why not make a simple bobin, like net-makers use? A piece of plexiglass, or thin plywood, 2in. X 12in, with deep V notches on each end would suffice, if you didn’t want to make one of traditional shape (one end pointed). That sounds like a great idea, Mike! Thanks for sharing!